Fungi are achlorophyllous, spore bearing, non vascular organisms, which reproduce both sexually and asexually and whose generally filamentous and much branched plant body(mycelium) is surrounded by chitin or fungal cellulose cell wall. 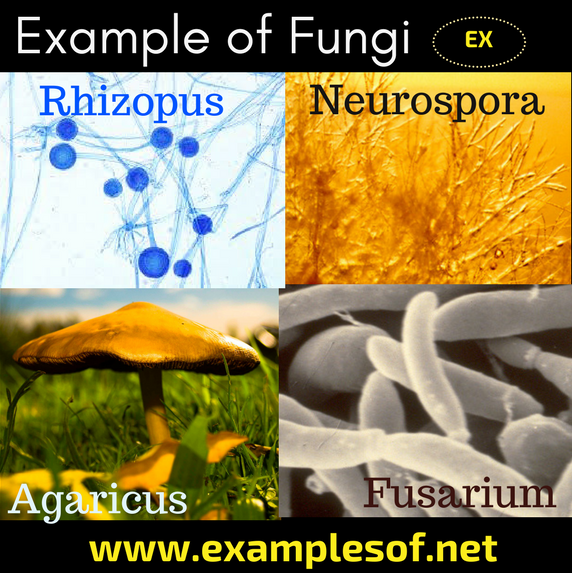 The term fungus has been derived from the Latin word which means mushroom. They are eukaryotic organisms which feed on dead and decaying organic matter. 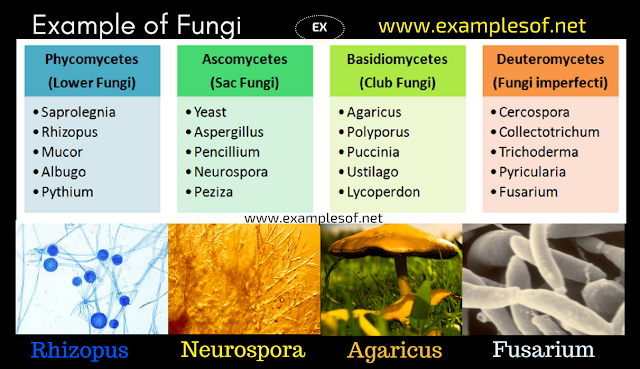 The branch of biology that deals with the study of fungi is called mycology. Example of Phycomycetes (Lower Fungi or Algal like fungi): Rhizopus, Saprolegnia, Albugo, Pythium, Mucor. Example of Basidiomycetes (Club fungi): Mushroom, toadstools, puffballs, stink horns, shelf fungi, racket fungi, rusts and smuts. Example of Deuteromycetes (Fungi imperfecti): Alternaria, Fusarium, Collectrotrichum.